Fireballs.The mere mention of it sends a shiver down my spine.For two reasons.One,for being the most overused power for the protagonists of almost all video games,courtesy of a bunch of lazy and unoriginal designers.Two,for allowing me to unleash my inner arsonist without facing the wrath of the law.Below,I bring you my choices for the most devastating video game fireballs of all time,each of them sure to bring you tiny jolts of orgasmic joy. 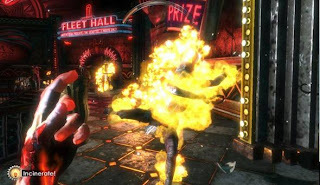 Bioshock is an RPG in the guise of an FPS.EVE is nothing more than an updated version of mana.C'mon,the red health and blue EVE bars are dead giveaways to the genre that the game lends from.And you can never have an RPG without a fire spell.In Bioshock's case,it's Incinerate.Sure,there are other Plasmids like the one where you summon a swarm of angry bees and the one where you make a Big Daddy fight on your side,but nothing beats the sheer adrenaline from blasting an enemy's face with a fistful of flames up close. 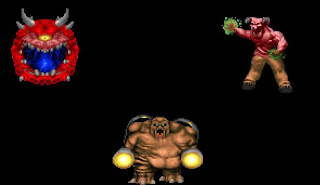 It's remarkable how much I remember this game despite the fact that the last time I played it,Windows ME was the fastest OS on the market.And the thing that stuck with me the most was frantically evading a screenful of fireballs while trying to sneak in a few attacks of my own.For a whole session,I did not care for the story or the level design or the eerie soundtrack.All I gave a damn about was surviving long enough to advance to the next area. 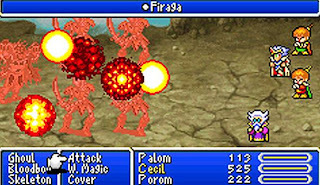 I never used magic during my first few levels in any Final Fantasy game,and for good reason.You start off with a few spells like the puny Fire,which barely registers enough damage to replace the much more reliable Attack.But then,you learn Firaga,and spam it for all it's worth. 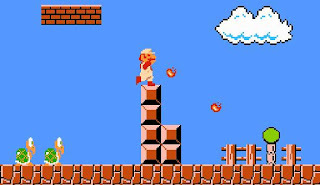 You can't have any video game list without including Nintendo's mascot.Jumping on your foe's head is funny the first time around but when you keep dying from the more advanced enemies,you'd wish for something a little bit safer.Never in my life have I been more grateful to see a flower pop out of a block. 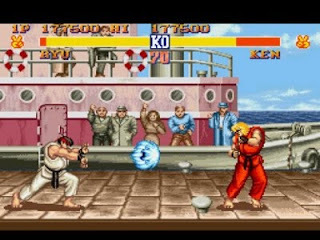 Can there be any other winner for this category?Street Fighter,without a doubt,started the gaming world's obsession in these flaming balls of doom.Since it's creation,the move has been copied by every fighting game developer out there.But the blue Hadouken reigns supreme over the rest.Not only is it high in damage,later editions of the game allow the fireballs to engulf the challenger in flames.How's that for incinerating the competition. If you have any suggestions for future topics,please leave them in the cbox or comments box.Your help is much appreciated.